@eucalyptus - Have you tried using the ThrottleStop - FIVR - Disable and Lock Turbo Power Limits feature yet? Your screenshot showed that this was not checked. If something is messing with your power limits, perhaps this can help. I would also not check the BD PROCHOT box and for maximum performance, I would use a Speed Shift EPP value of 0. Try running a test without XTU installed, boot up and do not run HWiNFO. Only run ThrottleStop. Run a TS Bench test and while this test is running, take a screenshot with the Limit Reasons window open. Papusan, pressing and custom90gt like this. As for now, I am running a clean bios and fresh install of windows, I mean with a fresh install I should not have the power limits... I don't want to mess around because I want to show the technician what's wrong. Not an owner at the moment but the XPS 15" (9570) is on my list of laptops that I am considering at the moment. Temperatures can be helped with re-pasting which I am comfortable with doing and also adjusting voltages which is something I have never done. Standby issues, not sure they will bother me as I tend to always shut down my laptop when I have finished using it and then power back on when required. Wireless, again if its a problem I can easily change the card out. Windows clutter which is solved by a clean install, again not an issue fo rme. Is there anything else that I have missed apart from just the usual of parts randomly failing etc which I guess can happen on any laptop. I am a bit of a geek so happy opening it up. I am not a big gamer (Euro Truck Simulator & American Truck Simulator being the heaviest graphics wise) and they run fine on my 970m that I currently have. The main use will be for Photoshop, Lightroom & Programming (HTML, Python, Java etc as part of a Computer Science Degree). Its basically a potential play off at the moment between this and the Lenovo Extreme X1 which is £400 more expensive but has part availability problems from what I have read, ok it comes with Win10Pro which is a nice saving of £100. Would be looking at the 4k, i7, 16Gb, 512Gb version. What is the SSD like in that or should I be budgeting to get a better one. Again probably will not notice if it is a slower one given I am on Sata6 SSD speads at the moment with a 6 year old Samsung. Thanks for any insights from all you owners. Thank you @_sem_ @custom90gt . I will analyze your benchmarks and perform something similar and let you know about the results. Temps aren't that bad but I don't do anything real heavy. Runs between 35-50° C at idle and anywhere from 60-80° C with anything like photoshop or rendering something. Had it hit 90s once during stress testing just to see how hot it gets but that was a full load on CPU constantly. Standby/Wireless issues, every few times I will have to reconnect to my network but it has rarely happened and no big deal if it does to me. I have heard if you delete the killer drivers and use intel drivers the issue goes away but has not been a big enough concern of mine. Windows clutter, yes it is there. At some point I will do a clean install, probably when I upgrade the ssd. Only have a 256 ssd in mine with 2000 read and 1300 write speeds. Samsung evo can do about 3500 and 2000 respectively. I would recommend getting smaller ssd from dell and upgrading later to a bigger, faster one. Dell has denied that there are any BIOS related GPU issues with XPS 15 9570 laptops, the company has informed us. Despite providing the company with data and numerous online posts demonstrating otherwise, it has not been able to determine what is causing some NVIDIA GPUs to throttle. Interestingly, the company states that the team has checked various sources before making this judgment, which is curious as we have provided them with data and numerous online posts demonstrating otherwise. Frustratingly, Dell still has not stated what causes the NVIDIA GPU power limiting throttling on the two XPS 15 9570 laptops on which we have replicated the issue on BIOS 1.3.1 and above. I'm pretty disappointed in Dell's response to their bios issues with the GPU (also tweeted Azor multiple times and posted on the dell "support" forums). I may replace my 9570 with the X1 Extreme because of it. It's a shame because I do like the 9570 quite a bit. 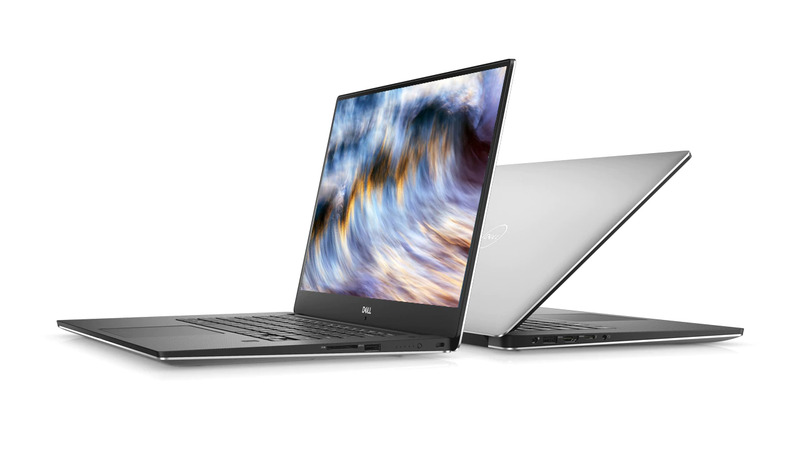 Dell has backtracked on its decision that the XPS 15 9570 does not have an NVIDIA GPU issue. The company has informed us that it is working on a fix that it aims to roll out via an updated BIOS by the end of this month. pressing, custom90gt, Dennismungai and 1 other person like this.